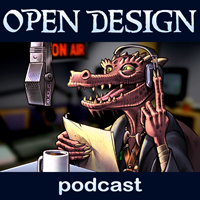 We talk about game design and game mastery, including Courts of the Shadow Fey, Dragon Age, George RR Martin, the Chain Mail minis game from Wizards of the Coast, The Whispering Vault, and how to design a better set of options when working with minis. Your hosts — Wolfgang Baur, Rone Barton, and Ed Healy — also announce the next contest: A free patronage to the upcoming Open Design projects is at stake, and you could win! Please submit your entry by October 10. Oh this so cool that I came across your blog. Thanks for posting this info. I will go ahead and add your RSS feed and bookmark this site.